One week ago when we wrote that with PG&E facing a threat of an imminent bankruptcy (which we now know will soon be realized), the most bizarre development in this latest corporate fiasco was that until the first week of January, both S&P and Moody's had rated the California utility with over $30 billion in debt as investment grade even as its bonds and stocks were cratering ahead of what investors deemed to be an imminent Chapter 11 filing. 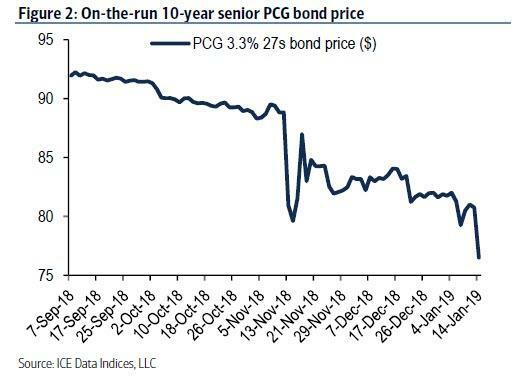 And while we have extensively discussed the multi-trillion threat posed by "falling angel" companies, or those corporations rated BBB - the lowest investment grade equivalent rating - as they slide into junk territory, the recent events surrounding PG&E highlight an even greater blind spot in the corporate bond arsenal: that of the failing angel. 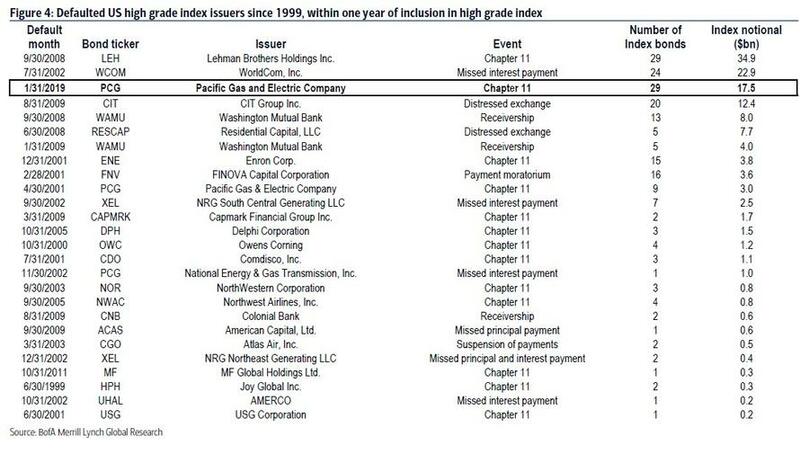 As Bank of America's Hans Mikkelsen wrote in a recent research note, Investment Grade defaults – defined as defaults within one year of being rated IG – are "rare and unpredictable" (even if in the case of PG&E, its downfall was quite obvious to many) as globally in more than half of years historically there were no HG defaults at all. 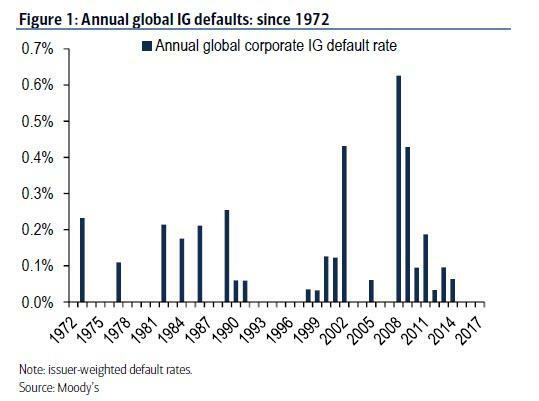 ... is a singular event and if the company follows through, it will become the third largest IG default since 1999, behind Lehman and Worldcom, with $17.5bn of index eligible debt. So as the world obsesses over the risk of "falling angels", just how many other "failing angels" are hiding in the shadows, waiting for their moment to wipe out billions in stakeholder value as the economy continues to slowdown to what is now an inevitable recession, and just what will the knock-on effects of this "historic" default be? We will find out in less than two weeks.